As a college girl by day and heroine by night, the Batgirl of Burnside has to be ready anything the world throws at her. 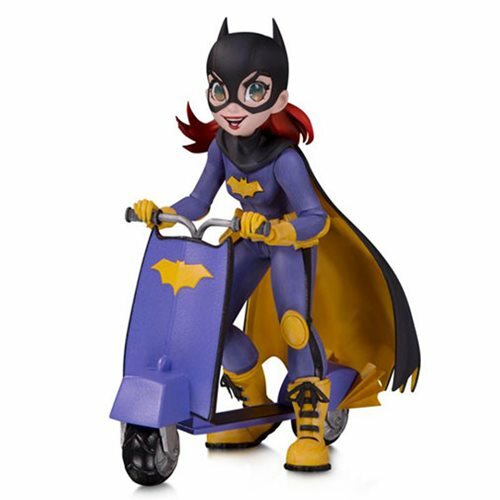 This 6 3/4-inch statue based of the work of Chrissie Zullo shows a Batgirl enthusiastic and ready to scale the challenges set in front of her. She may be in the same crime fighting family as Batman, but she certainly doesn't have the same dour disposition.